It would not be an inaccurate statement to say Elaine and I have a thing for Norway. We’ve been there twice in the past two years, and as I’m writing this are heading over there for a third time. What can I say…it’s an awesome country that speaks to us in a number of ways. Of course it’s the hotbed of skiing, and in particular the kind of skiing Elaine and I like to do…Nordic and AT. There is so much passion and stoke for skiing in Norway, and it draws you back for more. The system of huts, the network of trails, the mountains that drop right down to the sea, the public transportation…it’s custom made for skiers. And while it is expensive, the abundance of public transportation, hostels and such make it possible to survive and even thrive without going broke. While we love skiing, there is a lot to see in Norway when the country is not white. It is home to a system of interconnected trails that is likely unmatched anywhere in the world. We wanted to see and experience that. Point-to-point travel across wild places brings us more joy than anything else in the world. And so, on the day after Brexit, when a $450 ticket from Denver to Oslo popped up on Hopper, we decided to jump on it. This trip is different from our previous two. This time we’re going there to hike. 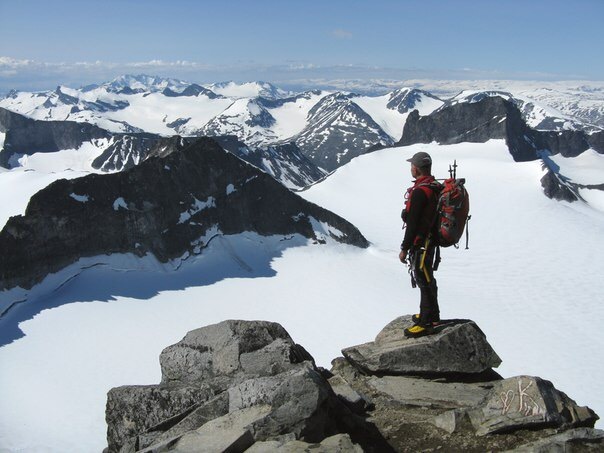 On our winter trips we missed out on some of the highlights of the country, namely the fjords and the mountains in the Jotenheimen Mountains. 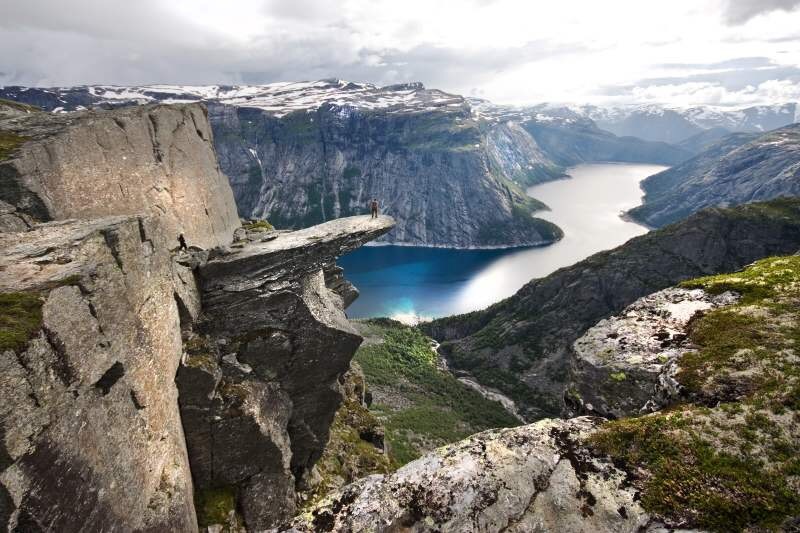 Simply put, there is epic stuff here that needs to be experienced…Trolltunga, Preikestolen, Bessegen Ridge and the highest peak in the country, Galdhoppigen. These are places we both want to go. It’s a simpler trip. We’re not lugging around heavy ski bags, but instead just have our Hyperlites and backpacking gear. We plan to hike good distances and camp every day. It’ll be considerably cheaper, and we plan to only use the huts if the weather is horrible (quite possible – August and September are the rainiest months in Norway) – or we need some extra food to supplement what we’ve brought from Colorado. We’re not really into just picking off the popular destinations without having to work to get there. It feels much less rewarding and we feel less connected with the place. We want to log some good miles and build more base before ski season comes about. The best way I’ve found to do that is a long backpacking trip. This one certainly isn’t the PCT or CDT in size, but it’s no slouch. The goal is 300 miles in 12 days, which should be a sufficient push to build fitness. 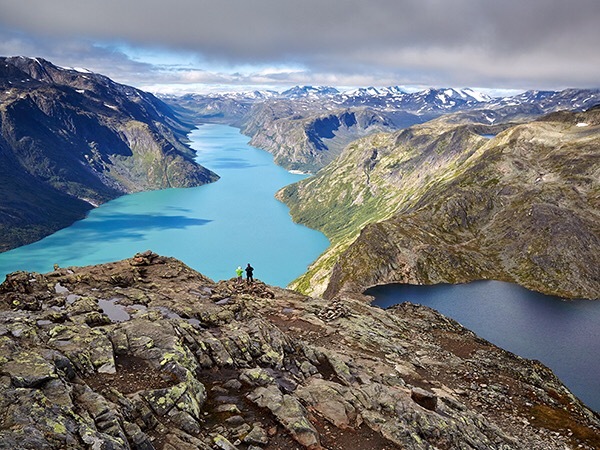 We’re starting in the fjord town of Odda, hiking up to the Hardangervidda and then making our way north across the high plateau, over a glacier and into the Jotenheimen Mountains. Along the way we plan to eat as many berries as we can, see reindeer, enjoy that high latitude light, smile a lot and live well in a wild place. We’re not completely sure where we’re going to finish (possibly the town of Sota Seter) but basically the plan is to go as far north as we can to catch a bus to Lillehammer in two weeks. This is not a designated trail or pre-defined route…we’re figuring it out as we go. Once in Lillehammer, our final goal of the trip is to visit the Fjellpulken factory and check out sleds. 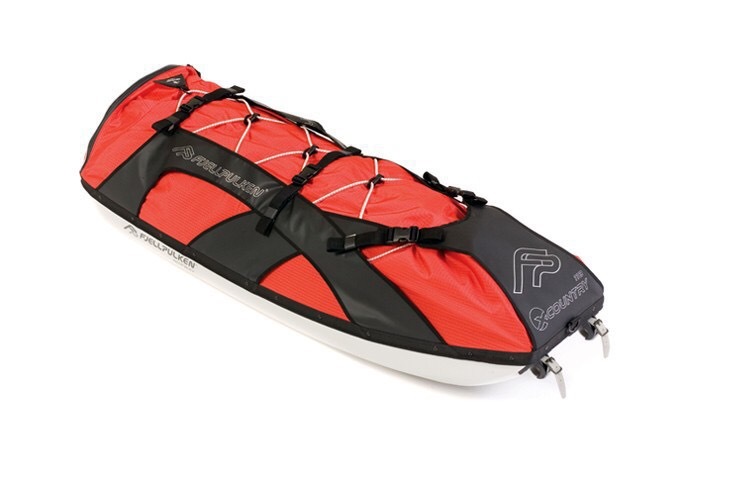 Fjellpulken makes sleds designed for ski trips. We’re doing a race in February that requires we each pull one, each weighted at 44 kg, and we also have aspirations to ski across Greenland in the future, where such a contraption is an absolute necessity. Fjellpulkens have a proven track record in polar exploration and we’re excited to check out their factory in Lillehammer. And while we’re there, we certainly hope to hike to the top of the ski jump and get fueled and energized for the upcoming Nordic ski season. It’s the hotbed of the sport and that kind of passion rubs off strong. Now it’s time for some sleep. Our plane touches down in Munich in six hours where we have five hours to see explore that city before it’s back to Oslo and the gateway to the Norwegian wilderness. 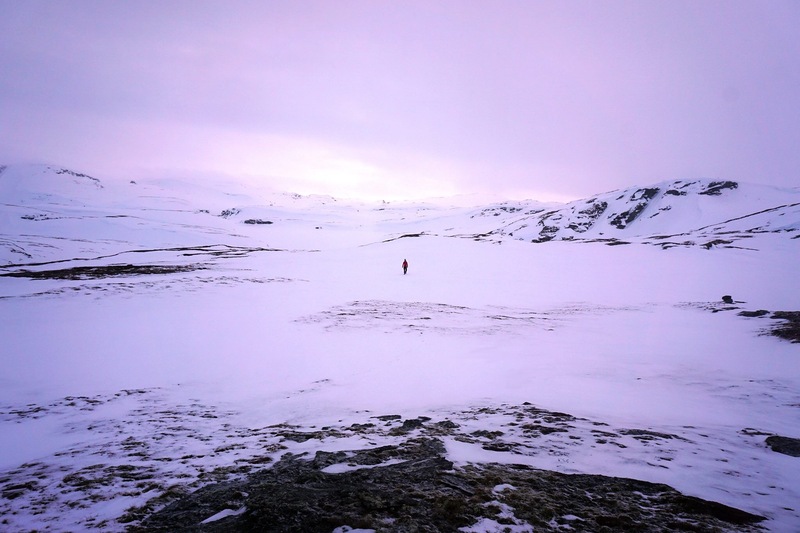 This entry was posted in Uncategorized and tagged fjellpulken, hardangervidda, hyperlite, jotunheim, lillehammer, nordic, norway, ski, thru-hike by nomadwolf360. Bookmark the permalink. God tur, you two. Jotenheim is the home of giants. You fill that definition. Stunning vistas and I know you will capture so much more. Can’t wait to see through your lens and follow your journey in writing. Have a wonderful, safe, and inspiring adventure!